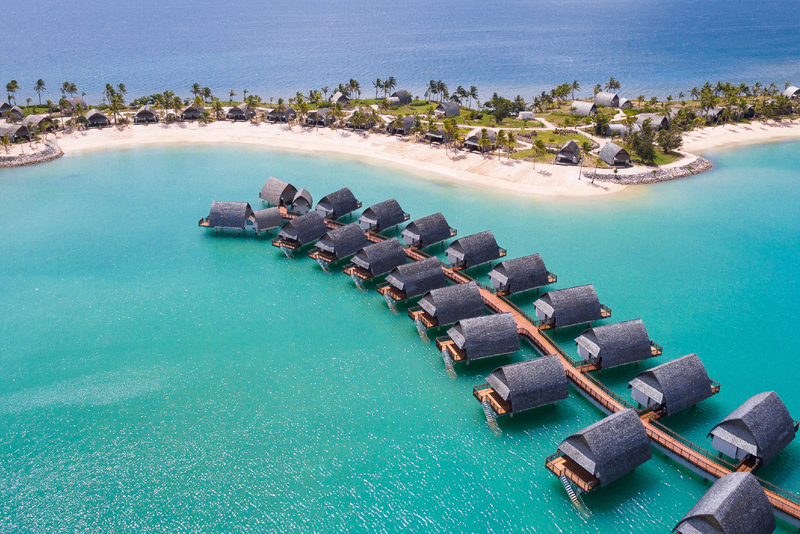 Every one of the 250 beautiful rooms – including over-water villas – at the Fiji Marriott Resort Momi Bay boast water views, so you can wake up to those mystical blues every morning of your stay. There are five restaurants at the resort. Try traditional Fijian cuisine at Goji Kitchen & Bar; dive into local seafood at Fish Bar; drink cocktails and Mediterranean eats at Lagoon House & Bar and Lagoon Lounge; or keep things casual at Fiji Baking Company, where you can feast on pastries, drink your daily coffee, or just stop in for a sandwich. 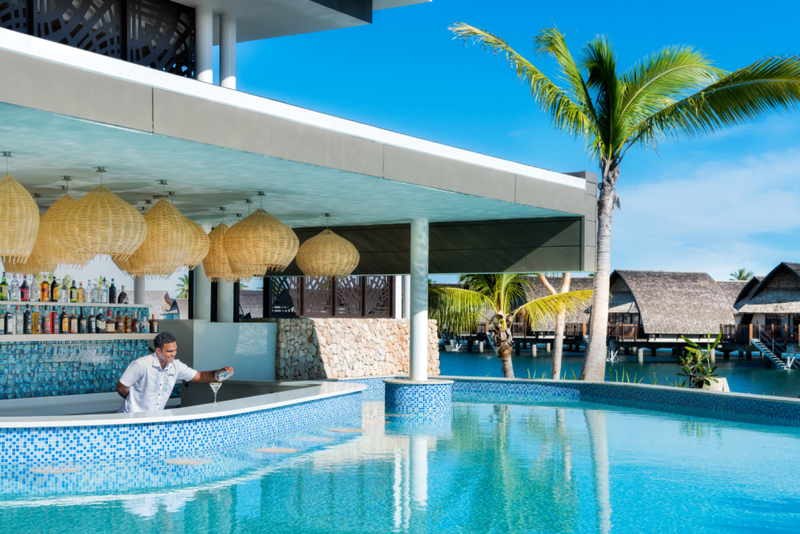 The crystal-clear waters of the South Pacific are right there, but the Fiji Marriott Resort Momi Bay also features no less than three swimming pools: a kids’ pool to keep the little ones happy; a main pool replete with swim-up bar; and an adults-only infinity pool. Whatever your way to relax, Quan Spa will see you right. Feel like a soothing massage? No problem. What about a full body scrub, to get that skin as smooth as it can be? Consider it done. A couple’s massage? Of course! They even do manicures, pedicures and waxing to get you holiday-ready. If swimming just isn’t enough of an adrenaline rush, then head out on the water on a stand-up paddleboard, kayak or boat. You can even set off on a jet ski safari, or see the sights while parasailing, should a day of adventure be just the thing. And you can admire the colourful marine life here by heading on out on a snorkelling or scuba diving tour. Feel like a game of tennis? The resort boasts two tennis courts, so there’s no excuse not to pop on those whites and get in a game or two. And did we mention the 24-hour gym? There is a Turtles Kids’ Club at the resort, free of charge to guests. And if you need a babysitter for a romantic meal one night, for a small fee, staff are on hand for just that reason.